Here's another Stamp-a-Stack card for this week's event. 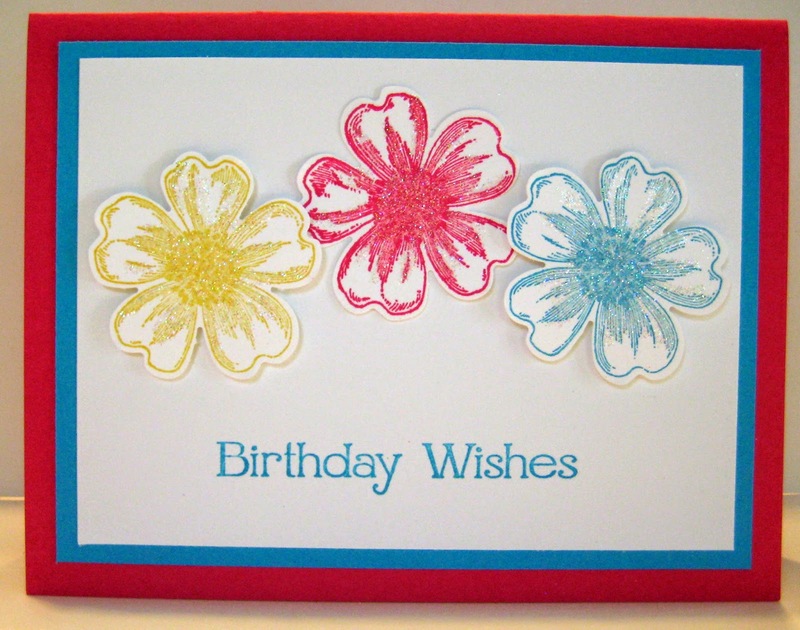 I designed 2 flower cards already and wanted to make something that wasn't flowery or girly. I think this card could go to anyone for a birthday, get well, or thinking of you. I've been playing with my new Flower Patch stamp set. It's so easy to use because its a Photopolymer stamp set and you can see through the clear stamp for perfect placement. I tried a few different combinations and kept coming back to this one with two flowers of the same size. I am also using the hello there words from the hostess set, Hello There. I think they're the perfect size and greeting for so many cards. Here's a quick card I made last night with two of my newest stamp sets. I used Hello There and Flamingo Lingo. I find that when I'm stuck for an idea, I just need to pick a set and start stamping.While this card probably won't be used for my next SU event, I have a friend who will love getting it in the mail this week! 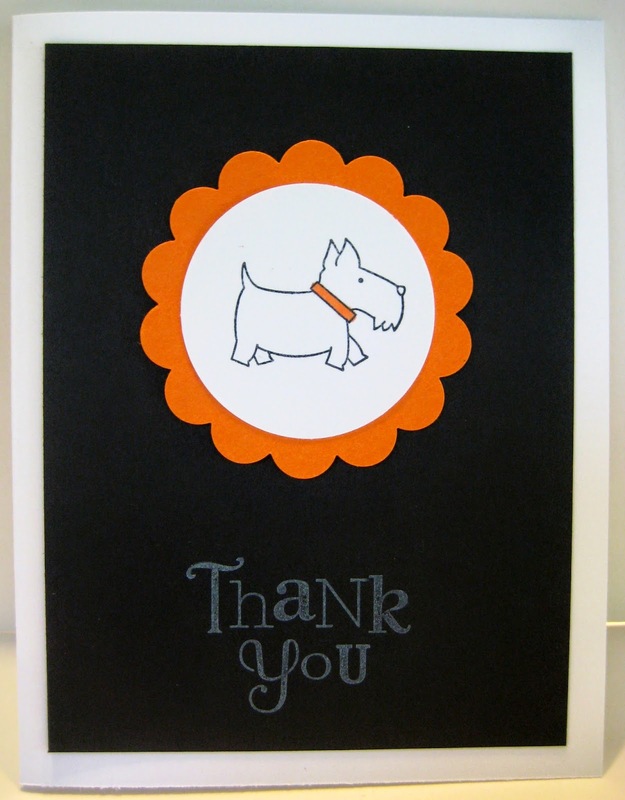 A few months ago I attended and area demonstrator meeting where we made a card almost like this one. 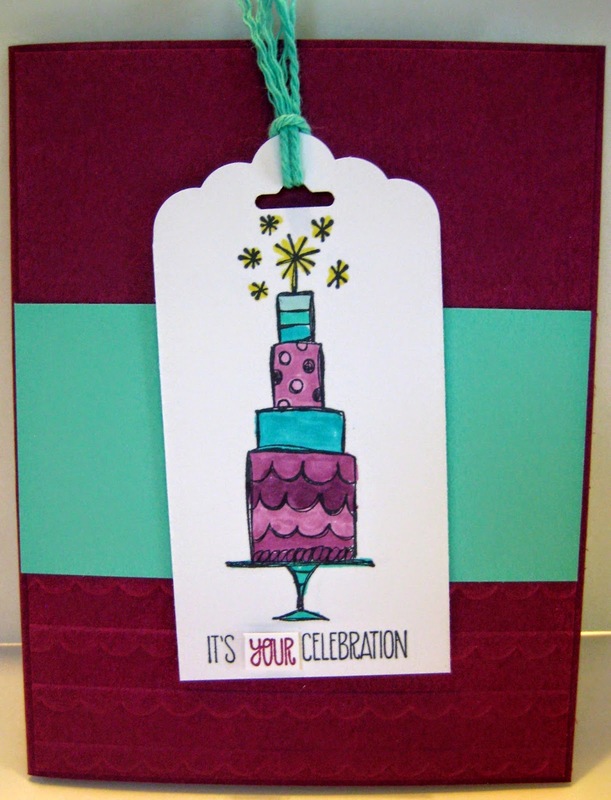 It was a popular card in my samples basket so I remade it using the new I Like You hostess set. Thanks Julie Davison for the beautiful card idea. I was looking back through my old cards and came across a cute card made by my friend, Tracy, with this fun little flap at the top. So I decided I'd make one using the Papillon Potpourri set because who doesn't love a butterfly card? Here is my first attempt with the new Blendabilities. We made this card at my last Stamp-a-Stack and I colored 3 ways. I wanted to figure out what I was doing and also give the ladies examples of the different looks you could create. On the top left, I just colored with the lightest of the markers and then highlighted a very little with the medium. On the top right, I colored each petal starting with the dark on the inside of the petal and worked out with the medium and light. For the bottom card, I started with the dark on the outside edge of each petal and blended my way in to the center. It doesn't seem like a big difference until you look at them all side by side. Everyone had their favorite way to color, but the general consensus was that these markers are pretty awesome! Those of you who get the monthly My Paper Pumpkin kit delivered to your door might recognize this Happy Father's Day stamp. 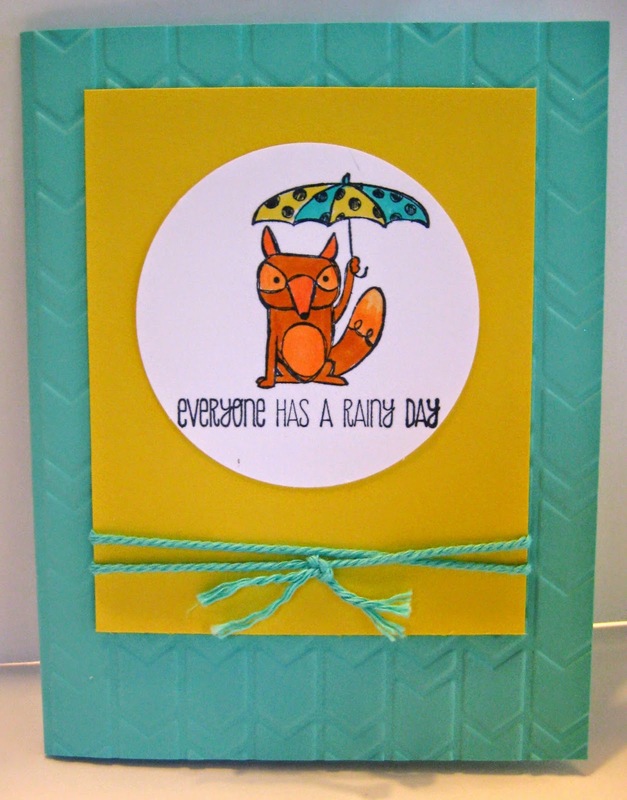 I used the stamp from May's kit and the tree stamp from Serene Silhouettes. If you don't get My Paper Pumpkin, you can click here for more information. If you decide to join, be sure to choose me as your demonstrator. We did this Friday night at my latest Stamp-a-Stack, and some of the stampers did Father's Day but there were lots of birthday, thinking of you and even sympathy cards. The My Paper Pumpkin kit also had a nice sized Happy Birthday that worked great on this card. So thanks to My Paper Pumpkin I have some new greetings to work into my rotation! 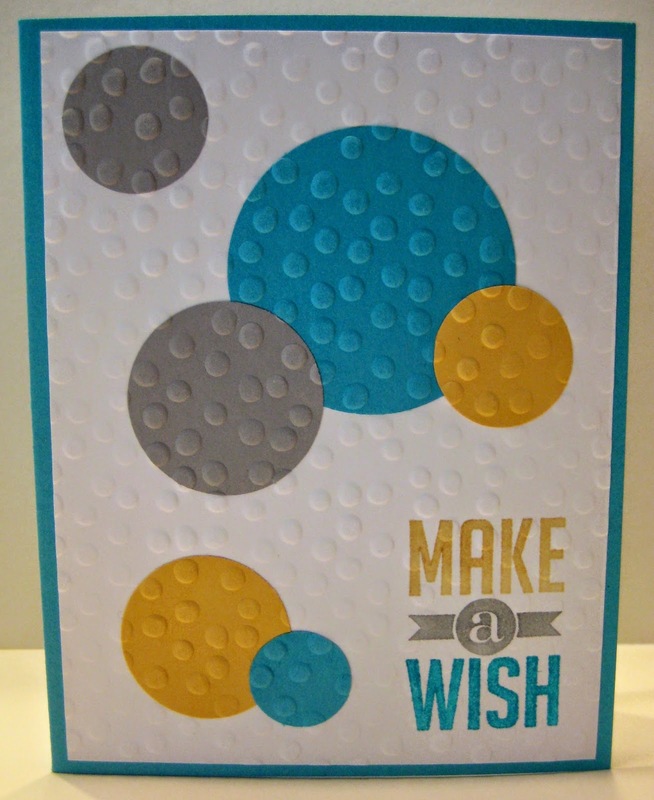 I used the paper piercing tool to add to the card without using buttons or ribbons which are my standard go to embellishments. Here's one more card I made while playing around with retiring stamp sets. 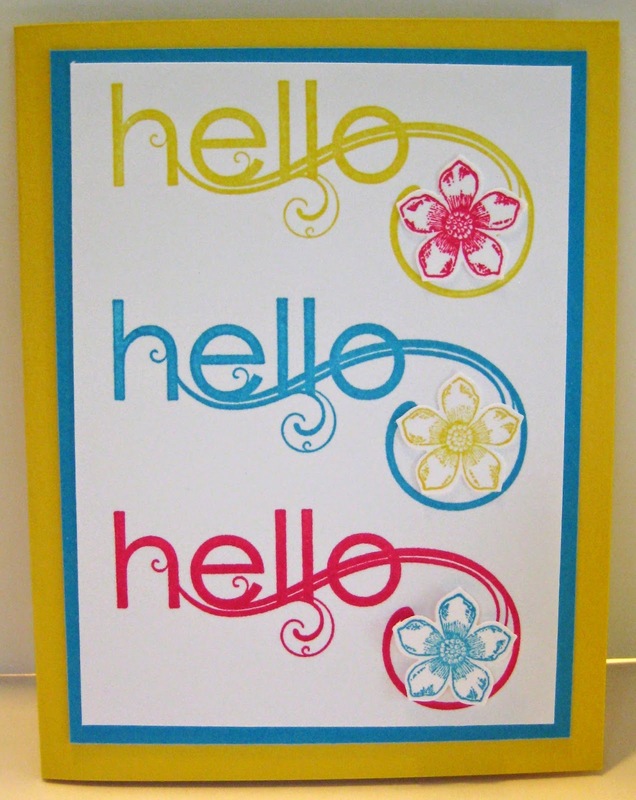 I just love the swirly hello and may not be able to part with that now retired set. I added the current Petite Petal flower to jazz up the card a little. It made a quick thinking of you card! Here's a quick and easy card using Flower Shop. I made these yummy Lofthouse Sugar Cookie Bars for my stamp-a-stack last night. 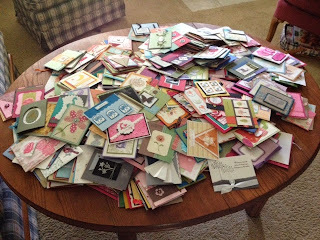 I also spread out years worth of swaps for the ladies to look through. 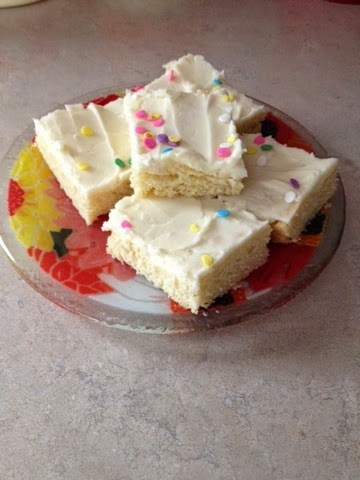 Both were a big hit! Here's a card I made with Life's Adventure, a hostess set from the new 2014-2015 catalog. I also used my new Blendabilites markers to color this image and they are just so easy to work with. I will get better on the blending, but I really was just wanting to color with them and take advantage of the 3 different shades of the same color this time. If you can't wait to get your hands on some of these markers, you'll have to wait a little longer or take advantage of the $50 starter kit to join Stampin' Up and order them as a demonstrator. If you don't have your own copy yet, you can check it out online. 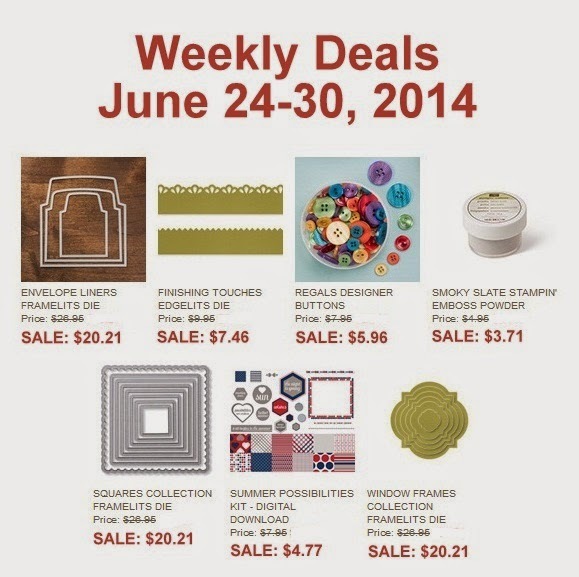 Please let me know if I can answer any questions or get a catalog to you! Here's a quick thank you note I made to send to a few students for end of the year teacher gifts. Our school mascot is a scottie dog so I've held on to this retired stamp set for obvious reasons. 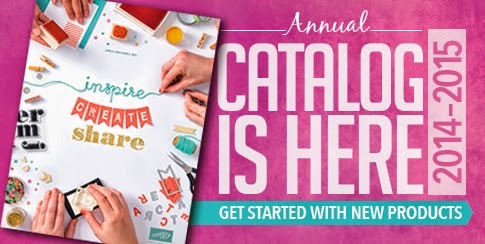 Have you seen the new catalog? Looks like I have a new scottie dog stamp set for future cards. I love this little fox in the brand new hostess stamp set, Life's Adventure - available tomorrow at noon. And I love the new Blendabilites markers even more. I've never been much of a colorer, but that may change with my new markers. They are alcohol ink and come in packs of 3 markers - light, medium and dark of the same color. They work so well that the "coloring lines" that made me not like coloring are gone. These markers are in the new catalog but will not be available for customer purchase until late June or early July. 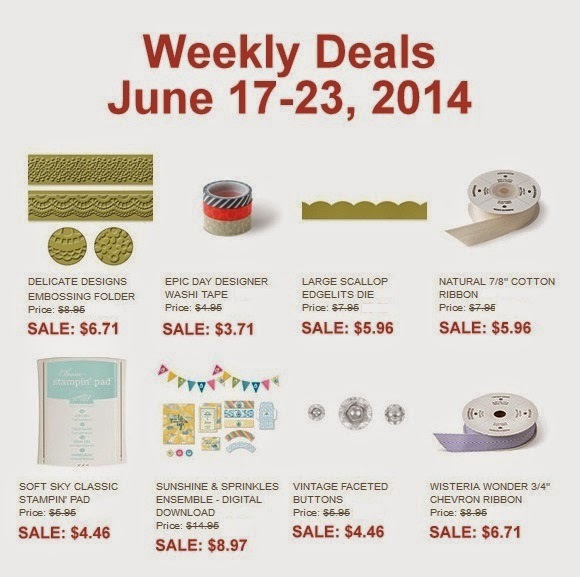 You will also notice new thick baker's twine in the current in-color, Costal Cabana.